Kathmandu is an exotic valley with rich culture, art, and tradition. Kathmandu Valley is surrounded by verdant agricultural hills scattered with traditional villages and brick houses, rich in ancient holy temples and shrines used by both Buddhists and Hindu worshippers reflecting a great wealth of culture and tradition. Kathmandu Valley is not only cultural, political and commercial center of Nepal but also it is the capital city of Nepal. 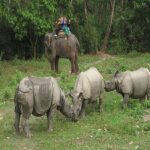 This package tour combines Kathmandu valley and Chitwan National Park which is the most popular destination for tourists wanting to have a good experience of the region’s wildlife. 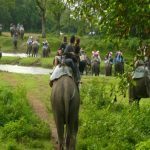 Chitwan is not just the name of a National Park but the best place to explore the surrounding and immerse in Tharu Culture. The park is enriched with over 70 species of animals including some of the world’s endangered species such as Royal Bengal Tiger, Great one horned Rhinoceros, Gaur, Gharial, Crocodile and over 450 species of colorful birds. This tour is recommendable for the family with kids and for young and old alike. 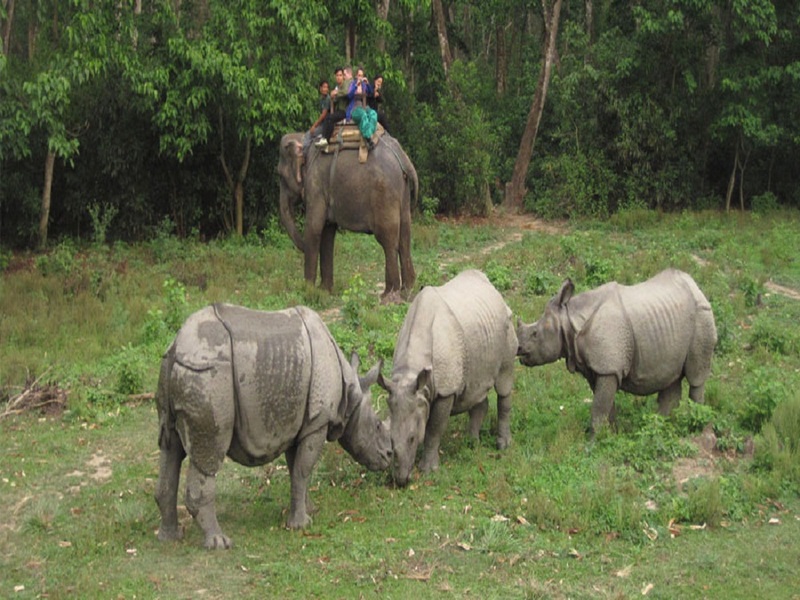 Day 01: On Your arrival at Chitwan our representative will receive you. You will then be transferred to our camp where you will be offered refreshment & be given a briefing on our camp & its facilities. After being given your programmes for the day, your room will then be allocated to you. 15.00 – Village tour to a nearby ethnic Tharu village where you will learn more about the life and lifestyle of the Tharus. Sunset view from the bank of Rapti River. 07.00 – Canoe ride along the Rapti river. An excellent opportunity for Bird Watching and for seeing the 2 rare species of crocodiles; the Marsh Mugger and the fish eating Gharial. 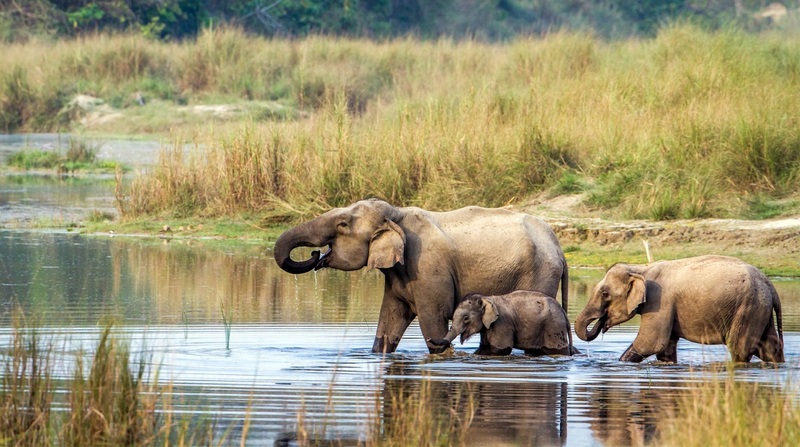 + Jungle Walk + One can enjoy the Elephant bathing. 13.00 – Lunch. (Pack Lunch). 15.00 – Jeep Drive through the grasslands, riverine forests and Sal forests to Kasara (the National Park’s headquarters) Gharial hatchery farm where you will learn about how crocodiles are brought up at this farm & then later released into the rivers. Transportation from Kathmandu to Chitawan to Kathmandu by tourist bus as per itinerary. Accommodations while safari including breakfast, lunch, and dinner. Highly experienced Government licensed holder safari guide during the trip. Government / Local taxes, Service charge, Guide insurance and salary, National park and conservation area fees. 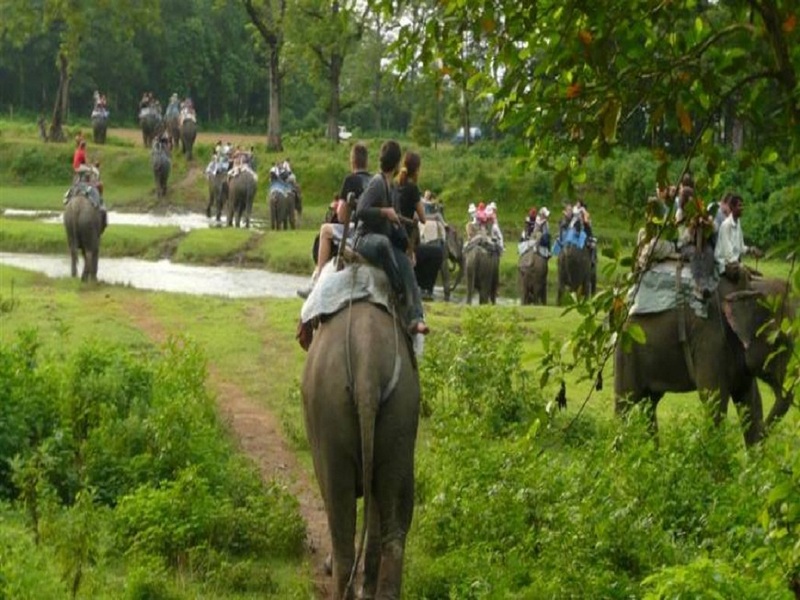 Jungle Activities guide and required staffs with the necessary vehicle. All type of personal expenses such as Alcoholic beverages and drinks, phone, and laundry. Rescue & insurance such as travel, cancellation, accident, health, emergency evacuation, and loss, theft of or damage to baggage and personal effects.